I did it. I quit my job! It’s hard to believe that the little project I named Cookie and Kate three and a half years ago has become a full-time endeavor. When my parents asked me what I wanted to be when I grew up, I definitely never responded, “Vegetarian food blogger,” but that was back when I subsisted on chicken fingers with ketchup and home computers were clunky novelties. Regardless, I’ve found my calling. For now. I’m hoping to post recipes more often from here on out. I’m already feeling like a failure since I’ve only managed to post once during my first week as a full timer. I have, however, been attacking my to-do list like it’s a beast that can be conquered. Oh, if only it could. Before I dive into the blog improvement projects on my agenda, I thought I’d ask you all what you would like to see here first. What kinds of recipes do you prefer? Do you have suggestions for how this website could work better for you? Any features you’d like to see? Let’s hear it! Stoli asked me to come up with a fall-inspired cocktail and today seemed like the perfect day to share it with you all. It’s Friday, after all! And I quit my job! I’m making less money but I’m doing what I love! Let’s toast to that. At first, I was pretty set on incorporating pears in the cocktail. I tried infusing, muddling, blending and cooking, but none of those techniques brought the best out of those pears. I probably should have bought pear vodka in the first place. 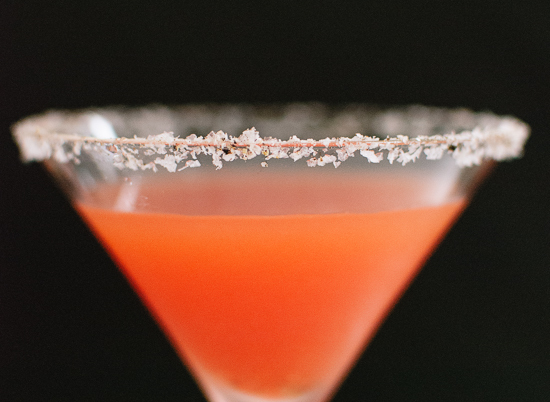 I was stressing about the pear issue when my friends came over for girls night, and those lovely geniuses reminded me of my favorite cocktail from Manifesto called the Beautiful Red Bell. 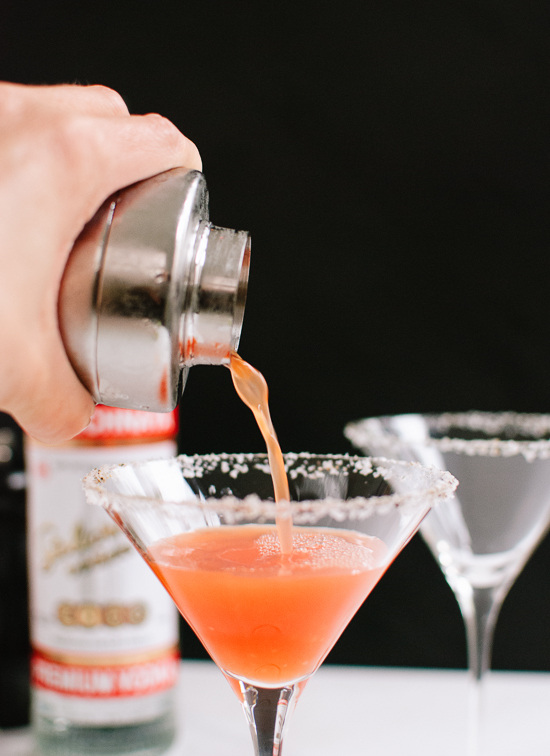 Red bell pepper muddled into a cocktail lends sweet peppery notes and a pretty orangey pink hue. It’s delightful. This red number is a cross between the beautiful red bell and a savory martini I tasted in Denver last month. That drink, which I sipped under the pink lights at The Thin Man, was made with a crazy-sounding roasted red pepper, sun-dried tomato, jalapeño and garlic infused vodka. I loved it. I love this cocktail, too. I mixed it up in a hurry this morning and got it just right on my third attempt. Of course, the drinks are reserved for tonight since I am a professional. 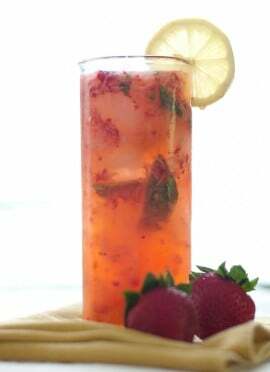 This cocktail would be the perfect sweet-and-spicy cocktail to serve at girls night or brunch. When you do, invite your friends to join you on RecAPP by Stoli to capture all of your original moments. It’s a free app that lets you create video recaps of events and share them with friends. Cheers! 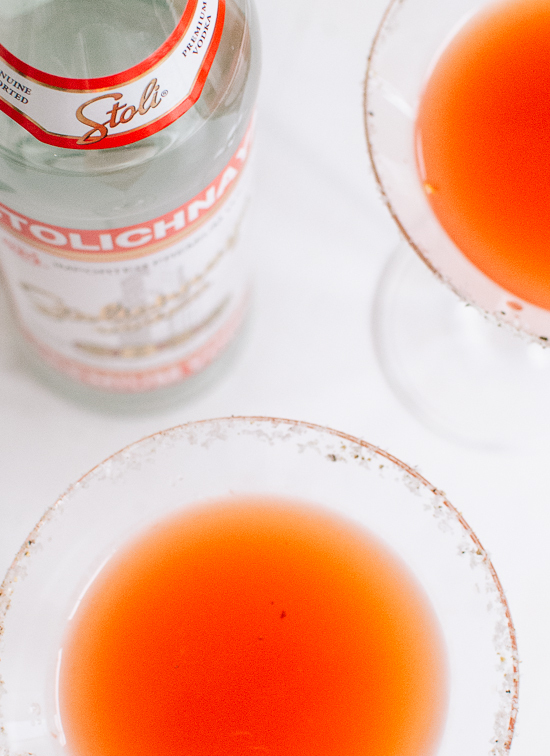 Sweet and spicy, peppery vodka martinis. Serve as a savory before-dinner cocktail, or as a light alternative to a bloody mary at brunch. Amounts given below yield two cocktails. First, line the rims with black pepper and salt if desired. 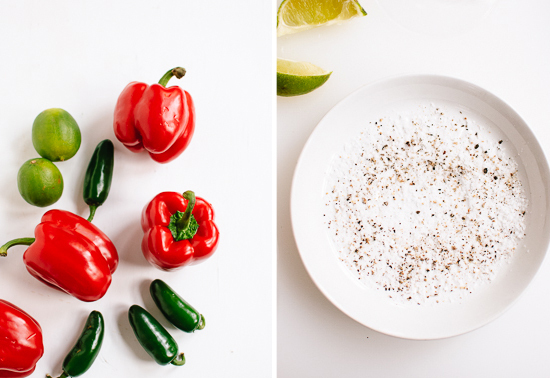 Sprinkle a small plate with pepper and salt, run a lime wedge around the rims of two martini glasses, and dip the edges in the salt and pepper mixture. In a cocktail shaker, muddle the bell pepper, jalapeno, lime juice and garlic. You’re done when the peppers have no more crunch left in them. Add the vodka, agave or simple syrup, hot sauce, a couple twists of freshly ground black pepper and a dash of salt. Fill the shaker with ice, top the shaker with its lid and shake it like crazy. Strain the mixture into the prepared glasses and serve immediately. Cocktail inspired by the beautiful red bell cocktail at Manifesto (Kansas City) and the red pepper-infused vodka at The Thin Man (Denver). Disclaimer: This post is sponsored by Stoli. Thank you for supporting the sponsors who allow me to serve up more recipes. Opinions are my own, always. Savor Stoli Responsibly. STOLICHNAYA® Premium Vodka. 40% Alc/Vol. Distilled from grain. William Grant & Sons, Inc. New York, NY. © 2013 Spirits International, B.V.
First off, congratulations on taking the plunge!!!! That is such amazing news. I hope you get time in between all your super organization projects to enjoy one or ten of these in celebration. So excited for you! YEAY!!! Congrats to you!!!!! That is so exciting! Can’t wait to see and try even more recipes by you now! :) Enjoy your weekend and being your own boss! Congratulations!!! That is sooo unbelievably exciting. I look forward to seeing lots more from you. Go girl! So happy/proud of you! Congrats. and wishing you much happiness in the future. Thank you, Liz. It’s always so nice to hear from you. Hope you’re having a wonderful weekend. Congratulations! As a new vegetarian blogger (though not a new vegetarian), this is really encouraging, and I get a lot of inspiration from your blog as well! Thanks, Melissa! You can do it! Congratulations on quitting your day job…woo hoo! 1. Congrats! I love your blog and think it’s so awesome that this will now be your full-time gig. 2. This looks SO GOOD! I’m having friends over tonight that are anti-savory drinks which is a bit heartbreaking, but this will be in my future. Hey Laura! Thanks for reading (and commenting)! It’s great to know that you’re out there. I’m sorry your friends aren’t into savory drinks. I hope you’ll find a good excuse to make this cocktail soon! Doing what you love never feels like work. Good for you! Looking forward to more of your posts. So true! Thank you, Andrea. Congrats!! That’s so exciting for you. I love all of your recipes and I can’t wait to see what the future holds. Congrats, Kathryne! As a reader from the very beginning, I can say definitively that you deserve all the success you’ve encountered. I love your cocktail recipes, may I request a warm toddy inspired one? Winter is on the horizon up here in Alaska, and it’d be nice to have a few unique whiskey recipes in my arsenal. Oh, and you should consider writing an ebook or self-publishing a cookbook on Amazon. I’d buy it! Thank you, Crystle! It’s nice to know that you’re still following along even though you’re so far away! I hope Alaska is treating you well. Good idea on the toddy. Here’s my go-to toddy that I posted right before Thanksgiving last year. I bet I can come up with another variation this winter. Stay warm! congrats, kate!!! i’ve been enjoying your blog for about a year. your photos are excellent! first, i’d love to see more lacto-vegetarian recipes, i.e. no meat or fish BUT ALSO no eggs, and also see them specifically marked. i have to look thru both vegetarian and vegan recipes to find the lacto-veg ones. this is especially so with baked goods. there are more of us than people would think! second, i prefer low-fat and low-sugar food, but never know how to substitute or amend recipes myself. i think many of your readers would find such a section useful, i.e. a small note at the end of a recipe that offers healthier alternatives, eg. greek yogurt for cream or applesauce for oil. you do this sometimes, so thank you! third, is there any chance you could include nutritional information? so many of us count calories/fat/protein/carbs for weight loss and other health goals. there are automatic calculators online that i use now. but if you could do it once for all of us, that would be so useful. that’s it and thank you!! Monica, thank you. I’m glad to know you’re enjoying my blog! Thank you very much for taking the time to type up your suggestions, too. I hear you. I definitely want to come up with a better way to organize my recipes for specific diets, so I’ll work on the lacto-vegetarian option. I’ll also try to be better about providing suggestions for reducing the sugar and fat content, and I’m thinking about adding nutritional information. Several others have requested it as well. Hope you have a great weekend and thanks again! Anyway, look forward to seeing more work from you. You have got some talent, girl! Thanks, Janae! It is funny, just how new this blogging thing is. I wish we had better words for it than blog/blogger/blogging! Yuck. My mom publishes a small magazine so I have been around publishing for a long time, but I wouldn’t be interested in publishing if it weren’t for the existence of blogs. I love this little online platform of mine! All my best to you. Great cocktail, I’ll drink to your success. I have a suggestion for the blog, It would be amazing if you posted the nutritional information with your recipes. Thank you for commenting, Catherine! I’ll think about adding the nutritional information. I’m hesitant to do so for a few reasons, one of which being that it’s just one more thing to do before I can hit publish. Perhaps more important, though, is that the nutritional breakdown would very much be an estimate. Calories and fat content depend on serving sizes and exact ingredients, etc. Would having a rough estimate be better than no information at all? Are you interested in calories, fat content and protein, or any other details? I really appreciate your feedback! Thank you, Sonja (and Alex)! I’ve been thinking about your email—I’ll get back to you soon! I have followed your site for almost 2 yrs and I’m happy that you get to give it your full attention. I also love your fondness for spice and look forward to more recipes that aren’t afraid of a little heat! ps I used to live right near the Thin Man for 5 years. I’m so glad you liked it there. It will always be my favorite neighborhood bar! Thank you, fellow Kate! I’m glad you appreciate my spicy recipes. I tend to dial back a little for the blog, but frankly, this blog just isn’t for people who don’t like spice. I loved The Thin Man and all of their infused vodkas! That was a fun experience. Woohoo!! You go girl! That’s huge, congratulations! Great news! 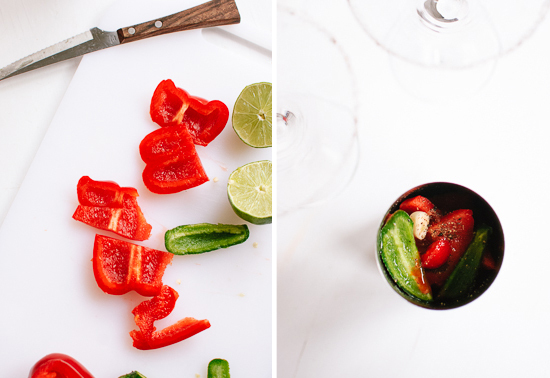 I love your site – especially the photography, and the cocktail and food recipes. I’m not so much into baking sweets. I love recipes that are fast and delicious for week night family meals! Thanks, Jennifer! 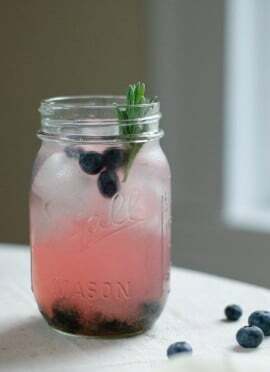 I’ll try to post cocktails more often, and I’m always on the hunt for quick and delicious meals! I’ll have more for you soon. so exciting, it takes a lot of guts to quit. I quit my job like 3 years ago to work on my blog, but in my case I realized although I loved blogging, I didn’t have the dedication I needed to make it a success. I needed discipline in my life and then I found another job, one that was more rewarding. Good for you.. I can’t wait to see what you come up with. And this drink looks fab… so unique. Thank you! I’m glad you found a more rewarding way to spend your days. Sometimes it’s just a matter of taking a leap and figuring out what does and doesn’t work! Wow, that’s fantastic! Congratulations. I have a food blog that’s in the early stages, and yours is definitely an inspiration! Thank you, Katy! Your blog’s name is so cute. Congratulations!! You’ve achieved what so many food bloggers hope to; best of luck. Love the site and looking forward to seeing what you do with it from here on out! Thank you, Ruby! I’m looking forward to having more time to devote to this blog. All my best to you! Thank you, sweet Ashley! Yes, cocktails soon! Congratulations! That’s so exciting. I totally have a girl crush on your personality and your recipes, so I’m sure you’ll continue to be a huge success. Thank you, Fiona! Always nice to hear from you! Great move! I’m all for quitting a job that makes you unhappy. This drink sounds great. I don’t like sweet drinks, so I usually end up with a plain vodka martini w/olives. Nothing wrong with that, but I also love peppers! I’ m glad you used plain vodka, I never seem to like the flavored ones, and there are so many weird ones now, you have to be careful when making your selection in the Vodka isle! Your blog beautiful and I always open the e-mail because it’s never just the same old vegetarian thing. My only suggestion….more pictures of Cookie!!! Hi Mary! Thank you! I’m glad to have more time to spend on my blog now. I hope you’ll get a chance to try this cocktail soon! It’s fresh, light and well balanced. I’m wary of the flavored vodkas, too. I’m glad you like my pictures of Cookie. More coming soon! Love the photography, and looking at your recipes even if I don’t make them! I second the suggestion of providing healthy alternatives, in particular with baking recipes. Thank you, Paula! And I will definitely keep that in mind. Wow! Congratulations! That’s really wonderful, that you are following your passion. Good luck. Definitely rooting for you! PS this is the first time I’ve ever commented on a blog – just so excited for you, I had to write something. Thank you, Sarah! Your comment made me smile. Thanks for reading along and for your sweet comment! Glad to know you’re out there! Hi Kate, congratulations! What a huge accomplishment :). If you keep posting more of your usual recipes, we’ll be a lucky bunch. Thank you, Kim! Hope you’re having a terrific weekend. Congrats, congrats!! So happy for you! Kate, you’re living my dream. Good for you! Your blog is the only one I follow and I am always so excited to read your latest post, to see your latest pictures, to hear about your latest adventure, and to salivate over your latest recipe. The very best to you in this new chapter of your life. Celebrate your well deserved success! Rhonda, thank you! I’m delighted to hear that you’re enjoying my blog and thank you very much for your congratulations. These are great news! As well great for me if there are going to be even more recipes… I’m a fan of all of recipes. But the “Mexican” ones I enjoy most, since in Europe we’re quite unexperienced with Mexican food. Lookin forward to see more of them! So happy professional-ism! Thank you, Sarah! I’m glad to hear that you enjoy the Mexican recipes, because those are often my favorite! I’ll post more for you soon, I’m sure. You, friend, are the quintessence of cool. WOOOOHOOOO!! I’m so excited for you. Your site is amazing and if anyone deserves to have crazy success with it, it’s you! Now let’s toast with a glass of this martini! I love that it’s savory. As I’ve gotten older I’ve stopped liking really sweet drinks, but this is perfect. Thanks, Joanne! Someday I will have to make another trip to NYC so we can clink drinks in real life! Congratulations! Just this week I forwarded a link of your pumpkin pancake recipe to a friend, telling her it was an awesome recipe from my favorite blogger. I am delighted that you will be able to spend more time here. I personally favor vegan, gluten-free recipes but I mostly hope that you will continue to post about what you love rather than trying to please readers… this is what makes your blog so special! Nik, thank you very much for sharing my recipe with your friend! I’ll keep your preferences in mind, but my recipes will always be about what I love! I’m sure that as I post more recipes in general, there will be more vegan, gluten-free recipes to choose from! soup recipes and beans/peas/lentils recipes! Ok, I’m on it! Thanks! 1. More of the same. I love your recipes and photography, and think your food is tasty, beautiful, and approachable. Hi! Thank you for your feedback. I really appreciate it. My iPad site’s developers are always improving the site, but I’m sorry to hear that it’s not working well for you. They just added a new “view recipe” feature. If you scroll over to the last page of the post, you’ll see a “view the recipe” button. Click on that and you’ll see a nicely formatted recipe that you can scroll down to see more. If you still don’t like it, you can also turn off the iPad version altogether. Click on the gray triangle in the top left and select “view desktop version”. Then you can browse my site like you do from your computer! Hope one of those solutions works for you! Great! Thanks so much! I’ll give those a try! Um, congrats…can we all say, food bloggers dream come true!? That’s amazing Kate, and I wish you the best of luck. Can’t wait to continue following and seeing more posts. I’d love to see some more recipes utilizing beans. Grains and beans are such a staple in my life, and I’m always looking for new ways to whip them up. Regarding nutritional information, there are counters out there that do this, and if people are substituting ingredients and stuff anyway, I don’t see why you need to do this really. Maybe something that could be helpful is having the equivalent measurements in metric for people overseas, or using a kitchen scale? I dunno. That’s all the feedback I have! I love things the way they are but if you do change things I’m sure it will be something delightful that I hadn’t thought of. :) Best of luck to you. Great ideas, Laura! Thank you. I’m glad you love that granola. :) Any time I feel like I’m not getting enough protein, I fill up on a meal made with beans and eggs like huevos rancheros. I have a simple recipe for huevos rancheros on the blog if you want to check that out. Greek yogurt has tons of protein, too. 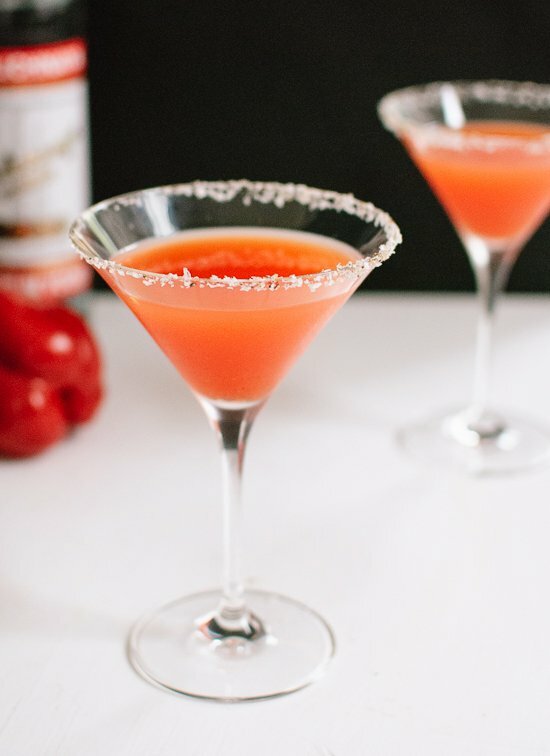 This cocktail looks amazing–I love red peppers, and it’s such a wonderful color. Big congratulations on becoming a full-time blogger! Wow! In addition to the recipes, I really enjoy your photography. As a blogger who’s in the earlier phases, I would love to see some posts about things behind the scenes, since you’re pro now–more on your photography, the business side of things, etc. Also, I always love desserts, especially ones that are somewhat healthy. Congratulations again! ooo! I agree on Becky’s suggestions! Thanks, Becky! Creating behind-the-scenes posts would be fun. I’ll try to pepper those in from time to time. I have more desserts in the line-up now that cold weather is approaching! Cheers, cheers, and cheers again! Go you – so happy for your, and can’t wait to see what’s coming! Congratulations! I think you should work to improve the mobile version of your website. It is so clunky and honestly, I usually skip checking your website because of it. Hey Janet, I really appreciate your feedback and I’m sorry you don’t like the mobile version of the site. The developers are always working on it to make it better. I do have a solution for now, though. If you click on the menu (the gray triangle butter in the upper left corner) you can select “view desktop version”. Then you can browse the site like you always have! Wow, congratulations, Kate! This is so exciting! Don’t feel badly about your first week — it was full of newness and transition, and you will find your groove in no time. I love this blog and am so proud/looking forward to so much more here! xoxo! Ps, this cocktail sounds AMAZE! I wouldn’t have considered muddling these together in such a way — sounds killer-good! I’m so excited for you! You’re my favorite blog and I visit all the time and cook with my computer on your page. Good luck on your exciting endeavor! I would find more indexing useful— and maybe you already do this with ‘tags’ so ignore me if so. Like, I need freezable soup and casserole, what are some recipes that stand up well to that and what’s the best way to do it? Ta-da, here’s a way to find those recipes on the site! I also dig it when a recipe tells me how I can prep part of the dish in advance so I can make the weeknight meal come together more quickly. Or another thing that would be awesome is a lesson on how to tweak recipes. I love learning about the science of cooking that way I can troubleshoot in the kitchen. Oh and one more thing, I always enjoy seeing pictures of people enjoying the food. If you have a girls night, maybe post a picture. These are all things I want to do on my blog, but my blog is pretty much just for my friends and family and I’m still a novice. So I’ll just suggest them to you! Again, congrats and best wishes! Hey Claire, thank you! It’s always so nice to hear from you. Great feedback all around! I am starting a list of tags to work on for the blog, including the ones you suggested. I think I’ll just wake up early and bust out that project soon. I have so many projects and ideas, it’s hard to know where to begin! How wonderful, congrats. I love your site and make sure to check it all the time. I certainly look forward to more recipes. I am vegan, but find it very easy to convert any of your recipes. I am also a busy mom for two babies, so any slow cooker recipes would be much appreciated. Keep up the good work. Your blog is wonderful! Thank you, Erin! I really appreciate your comment. I’m glad you’ve had an easy time converting my recipes! I’ll try to post more recipes for you soon! Congrats!! My boyfriend and I just went vegetarian so posts related to meal planning and things that can be frozen/are good for week nights would be so helpful! Thank you! Those are great suggestions! Thank you, Mia! Congrats on the big move!!! So exciting! Happy to hear that, Kate! Bet Cookie is happy, too. Would love to see some postings on cooking with Tofu. I haven’t checked your past posts for those, but I will. I love your blog and I have told many people about it and repost on FB. Your photography is lovely and your recipes rock. Keep up the great work! Thank you, Trish, for sharing my blog! I really appreciate your feedback, too. I don’t cook with tofu very often, to tell you the truth. I’ve never quite mastered it. Minimalist Baker just posted a great tofu recipe that I hope to try soon. Maybe you’ll like it, too! Congratulations! This is so exciting. You’ve absolutely inspired me to work a bit harder at my blog. You should do a post that explains how you got the courage to quit your job and what you did to get where you are (as a blogger, and in life). Keep up the great work. This cocktail looks so tasty. Yay!! That’s super news! Thrilled for you Kate! Thank you, sweet Becky! xo. So exciting!!! 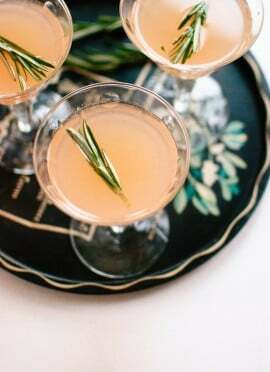 As a lifelong vegetarian I’ve always loved your recipes and can’t wait to see more — cheers to a great celebratory cocktail, too! Congratulations! That’s wonderful news. Thank you for all your hard work on this website, I enjoy it very much. For me, I’m always interested in easy lunches and/or lunches that last several days for work. Thank you, Annamarie! I will try to think of some more lunch ideas for you soon. I really appreciate your feedback! Thank you, Kathryn! Best wishes to you and to following your dreams! Thank you, Kimberley! I’m looking forward to having more time to devote to other projects. Great suggestions! Thank you, Cassie. Thanks! High five for quitting our jobs! Maybe I’ll go to culinary school someday, too. Congratulations! As a new food blogger this is really inspiring – wish you all the best in this endeavor! We’re roommates, vegetarians and best friends who love your blog! We’re really proud of you and so excited to see what comes next. Planning to make your frozen Bloody Mary this weekend for brunch! Hi Devon and Shayna! Thank you! I’m really glad you’re enjoying the recipes. Hope your brunch turned out great! This drink looked soooo cool, so I made this last night for my husband and me. Delicious! Nice and spicy, with a little sweet and sour thrown in for good measure. Great idea! Love your blog. Thanks for commenting, Holly! I’m glad you two enjoyed the drink! It’s my new favorite. Huge congrats to you, Kate!! So happy for you and wishing you continued success. You’re doing amazing things in this space and I can’t wait to see what you do in the future. Best of luck!!! I had been out of touch for a while and was pleasantly surprised to read the news about your now full time gig! I can’t tell you how happy I am for you. The recipes and photographs are still so special. Can’t wait to tune in again real soon. Your news has inspired me and let’s me know that dreams do come true! I’ve been hanging around food blogs for a while now while preparing to start my own (soon, very soon!!) and I have to say that yours is one of my very favourites. Just love your down-to-earth and ‘real’ yet high quality and classy style … and especially the way that you interact with your readers … it’s definitely the approach that I most identify with and I’m hopeful of emulating that on my own blog in the coming weeks/hopefully months and years! I’m also extremely happy for you and encouraged that you have taken the plunge and gone full-time with this. All the very best to you! You deserve all the success that has come/is coming your way! Helen, thank you for your kind words! I really appreciate your comment. Thank you. You go girl! Funny, I quit my job to start blogging. I knew I’d never get it off the ground if I couldn’t completely focus on the task. I’m hoping to finalize a few things on the site, launch and then start looking for a paying gig. Wish me luck! I know you’ll do great! Congratulations, I’m so happy for you!!! I found your blog about a year ago and am always excited when I see a new posting in my blog scroll. Your recipes are fabulous and the photography is stunning! Congratulations again!!! Thank you very much, A! Jerry, thank you! Yes, I’m still blogging full time and loving it. I’m so glad you enjoyed this cocktail! Thank you for your kind words and best of luck with your new blog!